Jan. 30, 2013 - PRLog -- Ring Power Corporation Chairman and President Randal L. Ringhaver and the board of directors are pleased to announce several new officer appointments. Brian Cholmondeley has been named Vice President – Cat Rental Store East Coast Sales Manager and Jerry Burford has been named Vice President – Cat Rental Store West Coast Sales Manager. Cholmondeley joined Ring Power in 1994 and most recently served as AVP – Cat Rental Store East Coast Sales Manager. Burford, a Navy Veteran, has been with Ring Power since 2000 and most recently served as AVP – Cat Rental Store West Coast Sales Manager. Ryan Stallings was appointed Assistant Vice President, Challenger Sales Manager. Stallings began his career as a Cat Rental Store Sales Account Manager in 2005. Mike Beauregard, newly appointed as Assistant Vice President, Ring Power Utility Equipment Sales Manager; has previously worked as Utility Equipment Sales Account Manager and Cat Rental Store account manager. 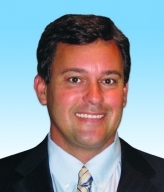 Keith Summerlin has been elected Assistant Vice President, Crane Used Equipment Sales Manager. Summerlin has previous experience as Cranes Sales account manager and Cat Rental Store account manager. Shelley Minzenberg was appointed Assistant Vice President, Human Resources Manager. With more than 25 years working in the Payroll and Human Resources related positions, Minzenbergs’ new responsibilities will include Health and Wellness initiatives.